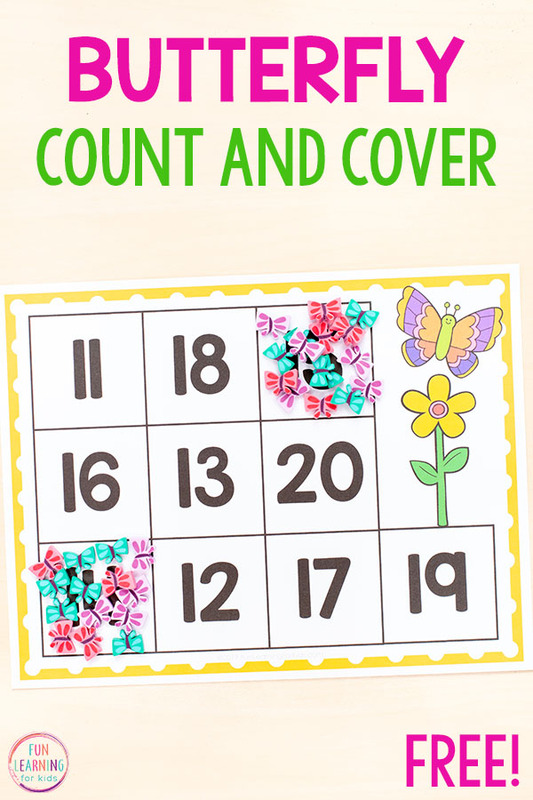 This butterfly count and cover math activity would be perfect for your preschool or kindergarten math centers. 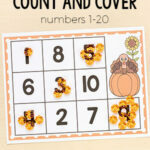 It is a fun, hands-on way to learn to count! 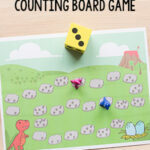 Are you looking for a hands-on, differentiated way for your students to learn counting, number recognition and number sense? 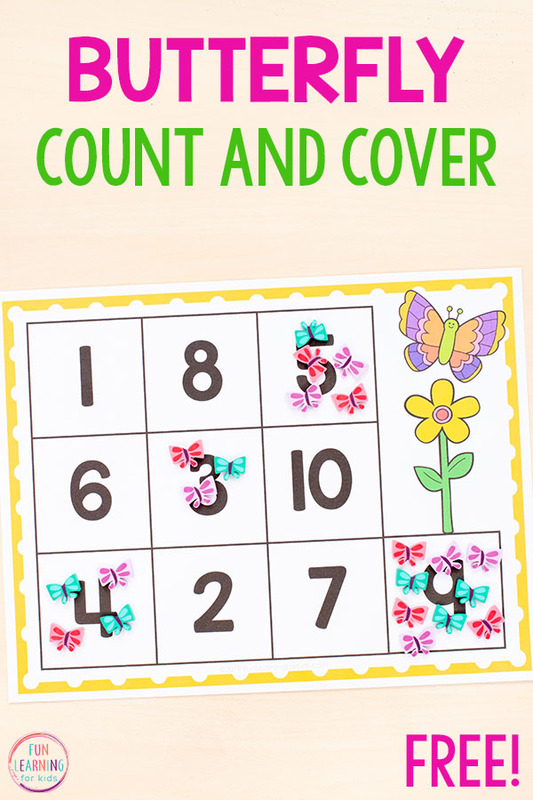 If so, then these butterfly count and cover mats are perfect for you! They require no-prep other than printing and slipping into write and wipe pockets or laminating. No cutting involved. Plus, they come in color AND black and white options. They would be a great addition to your math stations! What’s even better is that they are differentiated for the different needs of your students. 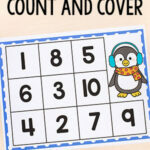 Some students can work on numbers 1-5, others can work on 1-10, and your more advanced group can use the 11-20 mats. 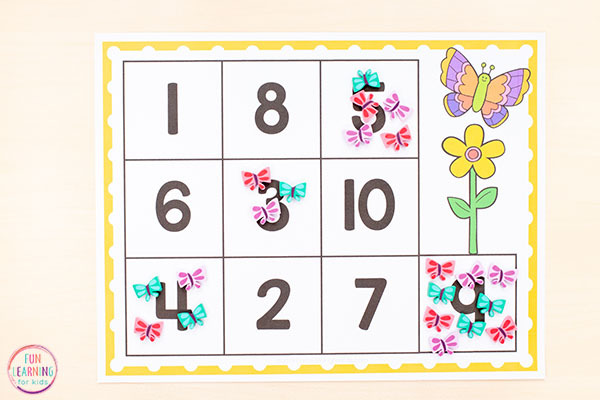 There are mats with numbers, ten frames, and twenty frames so you can differentiate even further by using the different types of mats. 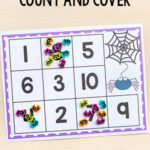 Students can also work with a buddy or on their own while using these fun count and cover mats. 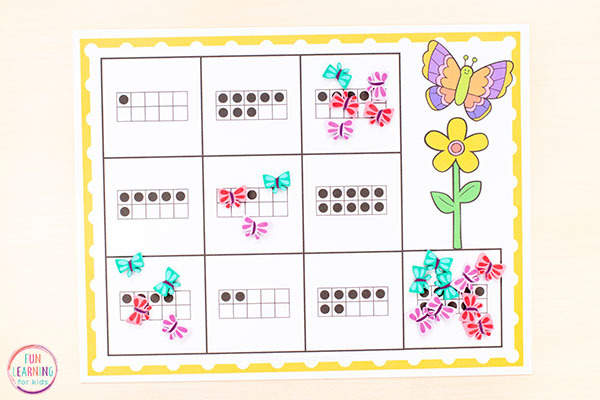 Add in fine motor work by having students use kid-safe plastic tweezers to move the mini erasers to the spaces on the mats. 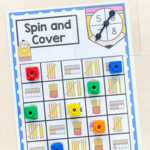 Simply print the mats and slip them into a write and wipe pockets. You can also laminate them instead. 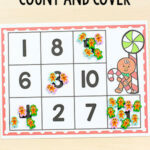 Students will look at a space on the mat and then count out the same number of mini erasers to that space on the mat. This will continue until they fill all of the spaces on the mat. 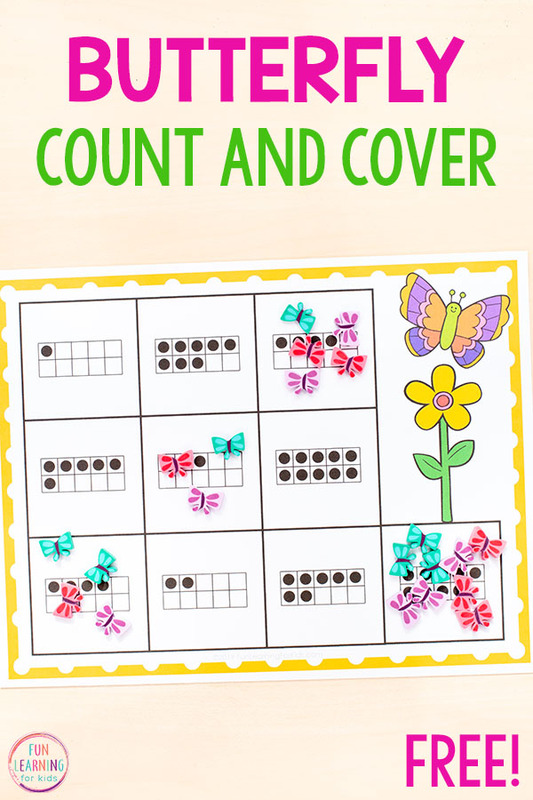 These butterfly count and cover mats are perfect for math centers, math rotations, or morning tubs. They could even work well for small group instruction. I hope your kids enjoy them this spring! 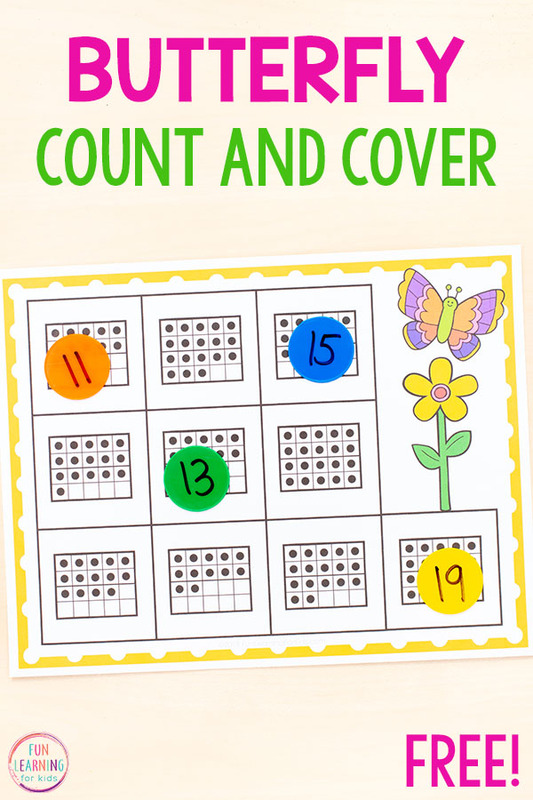 Click the button below to get the FREE butterfly count and cover mats! 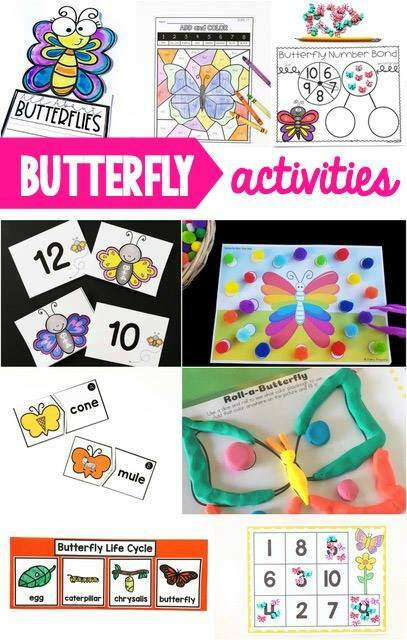 Here are some more butterfly activities I think you will love!